I KNOW. I don’t want to say that word either. It feels early, way too early. Five minutes ago I could have sworn I was lounging in my garden attempting, and failing, to catch a tan with that mini heatwave we had. But alas, the C-word is upon us, and I suppose, in light of recent events, we could all do with some festive cheer. So, let’s light up the world with Christmas love, instead of bigoted hate, and join together in these festive light switch-ons. 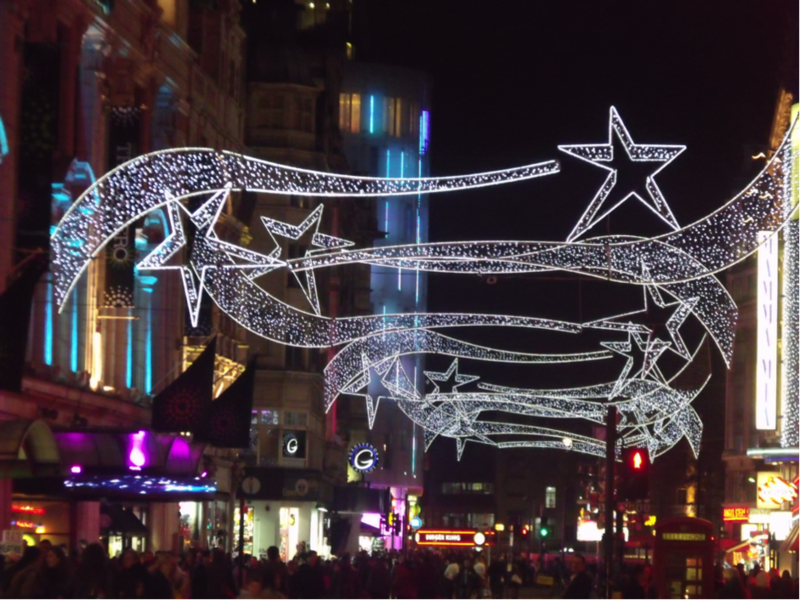 Famed for its stunning lights, there are plenty of stars and snowballs to be seen along this road. The lights are already lit, with Craig David having switched them on (the light switch was next to ignition…No? Okay). 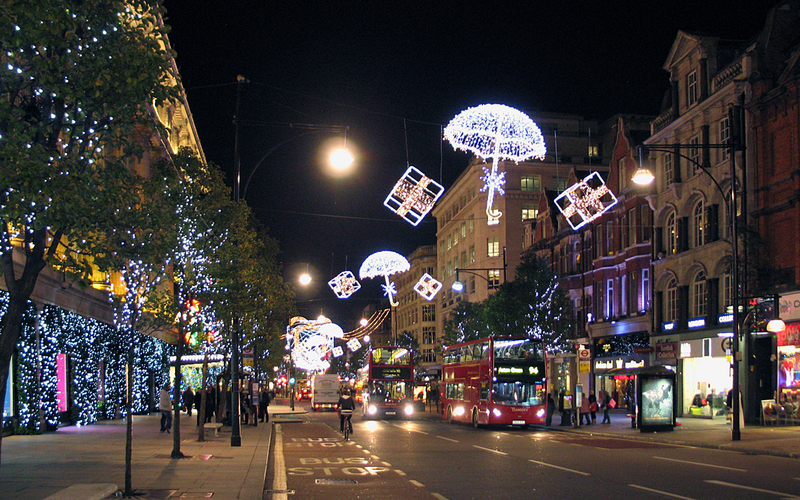 Oxford Street have teamed up with charity NSPCC to raise money for children this holiday season. For a donation of £5, you can dedicate one of the little star lights to someone you love. How fantastic is that?! More than just a simple light switch-on, on the 15th of November the piazza will be host to a whole manner of performances and spectacles. Not only will there be lights and a large Christmas tree, but mistletoe chandeliers and performances from the Royal Opera House and from the Royal Ballet Company. On top of all of that (yes there is more) there will be a LEGO TRAIN with smoke and sounds and everything! If that doesn’t melt your ice cold heart, I don’t know what will. 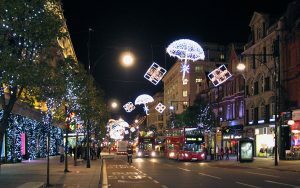 Adding some classy light designs to the usual stars, snowflakes, and sleighs, last year saw Bond Street debut some peacock feather-shaped lights. Who knows what they will reveal this year – maybe flamingos? 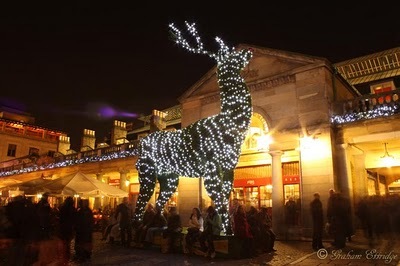 The switch on is at 5pm on November 12th – don’t miss it! 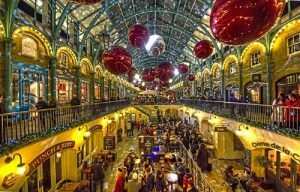 So there you have it, just a few suggestions of where to go if you fancy standing in the cold and watching Christmas lights being switched on!